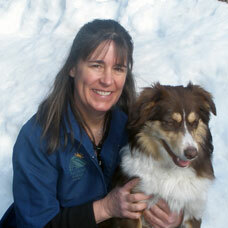 Denise Young is a Certified Veterinary Technician (CVT) and the Head of Surgery for Sun Valley Animal Center. Denise began working at Sun Valley Animal Center in 1980. Denise became a member of the American Veterinary Dental Society in 1997 and she received her CVT and LVT in 2002. In 2003, Denise qualified by examination as a Veterinary Dental Technician. Denise assisted Sun Valley Animal Center in receiving and maintaining American Animal Hospital Association (AAHA) Certification for over 20 years. Denise lectured at The College of Southern Idaho (CSI) for the recruiting veterinary technology students for their summer externship. In August 2008, the Idaho Veterinary Medical Association named Denise Young Veterinary Technician of the year. In 2010, Denise participated in CVTEA site visit to CSI for their Veterinary Technician Program’s reaccreditation. Denise is Member of the Idaho Society of Veterinary Technicians. Denise assisted in teaching multiple TATE courses multiple times since 2007 years. In 2015 was a Technician Instructor at the Kyon Master Total Hip Replacement Labs. Most recently, Denise assisted Dr. Randy Acker with the trials for the Total Ankle Replacement. Denise Young lives in the Wood River Valley with her husband, son, daughter, and lots of animals. She looks forward to helping you and your pet at Sun Valley Animal Center. Please email Denise at dyoung@svanimal.com or call her at Sun Valley Animal Center at 207-726-7777.